I just downloaded the newest iPhone version last night. I love the new graphics, and I understand from the settings screen that the auto zoom will be restored at a later time (I do miss that though). The only bug that I have noticed is that you cannot select your level of play, everything defaults to "very easy". Thanks for all of your work brining one of my favourite PPC games to the iPhone!! i don't agree with this "only" Bug Point. Ok the graphic needed an update but i would like to See an Option to get back to the old graphic. But thats not the Point. First of all how can i Select another difficul Level? Secondly Why cant i Play all the maps? Some are Set to Gray and sherefor unselectable? And finally did you changed the ai? Looks likeit is now attacking me in situations in that they ignored me in the last Version. 1. I used to be able to select any one of the 384 maps and play them at any level. Now most of the maps are greyed out. In effect, I have been downgraded from 384 maps to about 104 - so I have lost 200 maps. Unfair! 2. My playing level defaults to "Hard", and I can't change it. Very unfair - ridiculous, in fact! 3. I have lost the former colour scheme, and I now find that, although I have several colour schemes, I have trouble distinguishing the colours in some lights. I have no argument against increasing the number of colour schemes, but why did you take away the existing one? I can not see the reason for this change. Unfair! I have played Slay for some years - now on the iPod and formerly on my iPaq. I hope that someone can help me get back the great functionality of the former version. What I've tried to do in the latest update is make the game have more long term appeal by giving people a sense of achievement by seeing how far they can get down the difficulty table. All the islands are now in difficulty order and when you complete any island in a row the next row becomes "unlocked". The first two rows are "Very Easy", next two are "Easy", next two are "Hard" and then all the rest are "Very Hard". Your old scores should have been maintained so if you completed any of the later islands on "Very Hard" all the islands before that and the next row should be available to play on. BTW AssetBurned the AI hasn't changed at all! Thanks for explaining your reasoning for the changes. I understand what you tried to do. And it was probably welcomed by some of your customers. I have to say that the game is now far less playable for me - I am not a game player who likes to work hard to complete a game, so the challenge that you set now, which is to succeed at the Very Hard level before I get access to the rest of the rows, will turn me off the game. If I want a Very Hard challenge, I'll do more of my normal daily work! 1. Give me the option of having the game the way that it was before in terms of having access to at least all the 384 maps that I paid for. As I said, I now have access to only a few maps - far fewer than I paid for. 2. Give me back the original colour scheme as one of the several available. I found the old color scheme to be easier for me. If it were available as an option, that would be great, but I can play with the classic colors as well. I liked the ability to be able to select a difficulty on each island, but for a different reason than others have mentioned: I prefer a strong challenge, and I liked to see how many islands I could beat on Very Hard (the same as I did on the other versions) ... but it was nice to be able to drop down in difficulty so I could try to defeat all the islands even if not on the highest difficulty level. Yes, thanks for continuing to develop Slay. I had already done 274 islands on Very Hard, and by conincidence that included Island 468 (the last island) so everything was available to me. 1) I always play on Very Hard, and only if I fail a few times on Very Hard do I move to Hard for an island. 2) Progression is not the thing for me. I just enjoy playing in sequence (always on Very Hard). Its nice to get an easy island after a hard one. Lucky dip. 3) As it stands, I would find little challenge in going back to fill in the gaps on the easy rows as I know them to be far too easy for me to play. Previously, I would never know how easy or hard an island was and so would enjoy the challenge (or the joy of a quick victory). 4) I agree with the others that some of the colours are too close now. Makes it hard to see who-is-who. Thanks again for this great game. on PC, very hard is, very hard... Tough to beat AI, but not impossible. ah ok then trying to Play One of the last few Islands was the problem. But what i still can't understand is Why can't i Play everything up to 338? I woult say i solved less then 25% of all the Levels on my Touch. And Even harder to understand is the fact that you still have the icons for the easy hard and very hard, Even if the Levels should Be ( for example ) only easy. I have at least One of every degrees in the First few Levels, shouldn't they all changed to easy? Anyway i would say that the system should Be changed back to the old system. Let every user Select how they would like to Play the Game. Sometimes i wanna Play an easy Game and sometimes i really Need something more complicated. But i can understand Why you invented the New Way. - some Islands Need to Be solved in a specific way (e.g. Hard and less then 20 turns) to activate another Map. But i guess thats more or less the Same like the campain idea i Read in another topic. I've just tried it, after suggesting a few upgrades. - Colour scheme wont change for me (bug?) and the default colour scheme is a little harder to distinguish. Solution - touch up the colours. - I think the order of Islands is good, from easiest to Hardest - a great change on the "lucky dip". However you should still be able to choose what difficulty you play the island in. What i mean by this is if the first island is easiest (due to your starting positio, amount of territory etc) then great, but i would want to try and beat it on very hard. Then as i progress to harder islands the 'Very Hard' difficulty may be too hard. I would like the option to select 'Hard' in an effort to beat it. This would still mean i could work through the Islands...but crucially it wouldnt end the game for me if i came up against 10-15 islands i couldnt beat. - when i surrender it exits me completely from the game. A good effort but the difficulty problems are a huge dissapointment to an otherwise good update. I am still disappointed with the upgrade. I paid for a certain number of maps, for each of which I could set the difficulty level - so I had 384 maps multiplied by 4 levels. Now I have a set of maps for which I have only 1 level that I can play it at = far fewer maps, even if I can unlock all the Very Hard rows. And all my choice has been taken away from me. How is that an upgrade? I now have about 10 - 15% of the game that I had before this "upgrade". And I can see nothing in the game information in the iTunes about this aspect of the "upgrade". If I had seen that this was going to happen, I would never have upgraded - again, my choice was taken away from me. I am sorry to keep griping, but I used to regard this as one of the best games that I had bought. Not now!! OK, I'm really sorry that lots of people don't like the new way I've done the high score table! What I'll do is a quick update which will let you double tap on the high score table's title and the high score table will go back to the way it was. It will take 2 weeks for Apple to approve the update for release on to the AppStore though. I thought it would be more fun to know roughly how difficult an island would be so it would be more of a challenge to see how far down the table you could get. 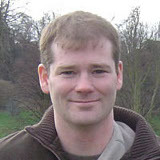 Sean O'Connor wrote: OK, I'm really sorry that lots of people don't like the new way I've done the high score table! Thank you. I too do not like the new play style as I always choose very hard. I do like the new graphics. Also I would like to suggest an enhancement, a custom mode, where I could set the level of difficulty per trip. It appears to me that brown is always the more aggressive so I end up taking them out first and then it is a cake walk to do the rest. I would like to have more of a challenge by ratcheting up the AI of the other tribes. All in all this is still one of the best games you have. Can't wait to try the other iPhone games out. I purchased the full iPhone version of Slay a few months ago, after updating this weekend using the update feature, I can not select maps above #156. Also, I would like to select to have the old graphics and I look forward to having the zoom feature back.